Next Batch: Due on the 24/04/2019. Delivery to customers within 10 working days of the 24th. 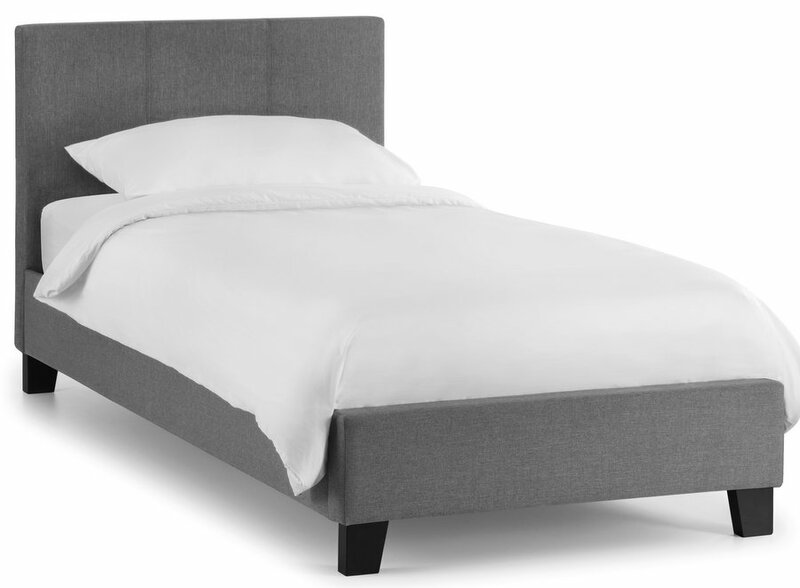 Modern bed frame with a slender profile that doesn't dominate the room. Simple nature of the design works with many interior decor schemes. 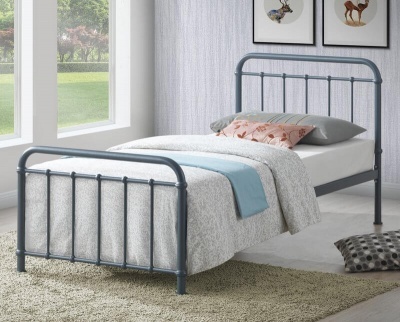 Making this a great choice for your bedroom as the bed will last through decor updates. 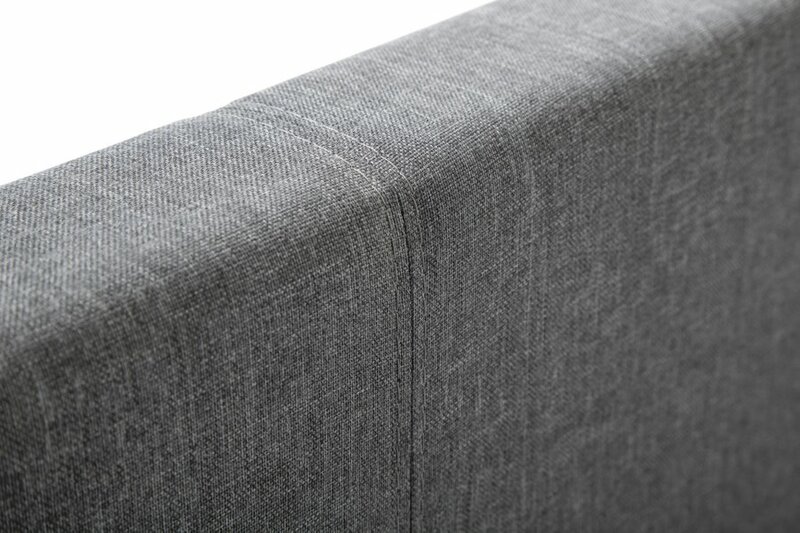 Warm light grey linen effect fabric cover gives a softer look. 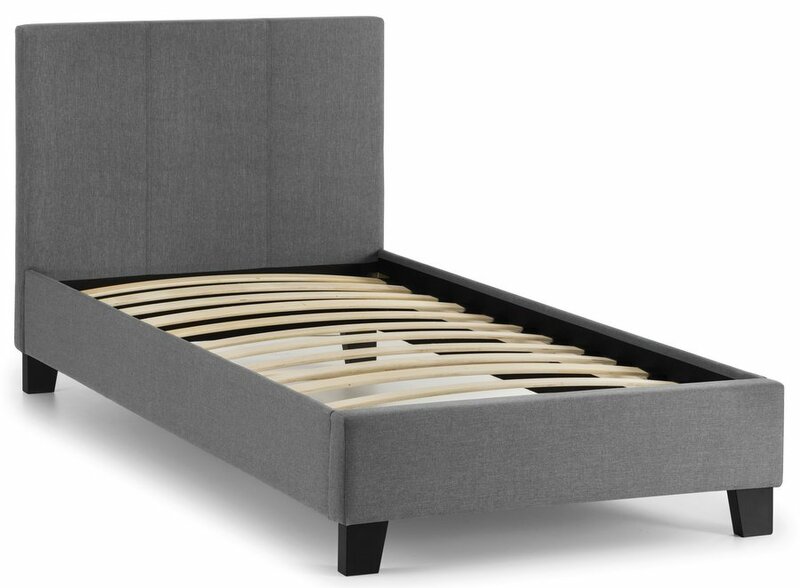 Wooden sprung slatted base for extra comfort. 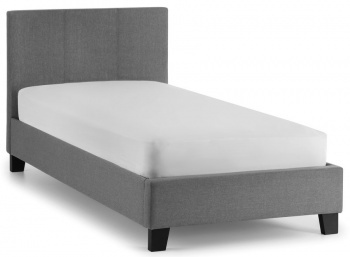 Available as the bed frame only or a choice of mattress. 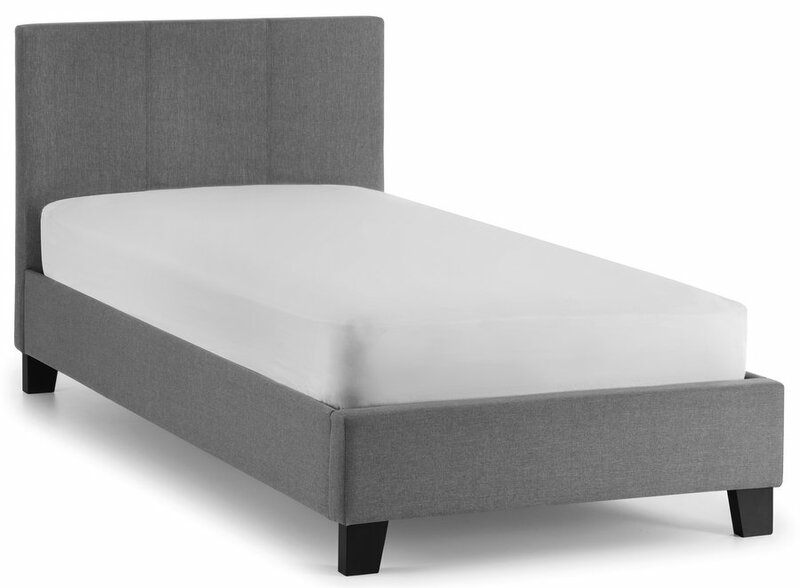 Mattress option includes the Deluxe or Elite mattresses. Both mattresses are made in the UK. Flat packed for self assembly. Full instructions included. No extra tools required. 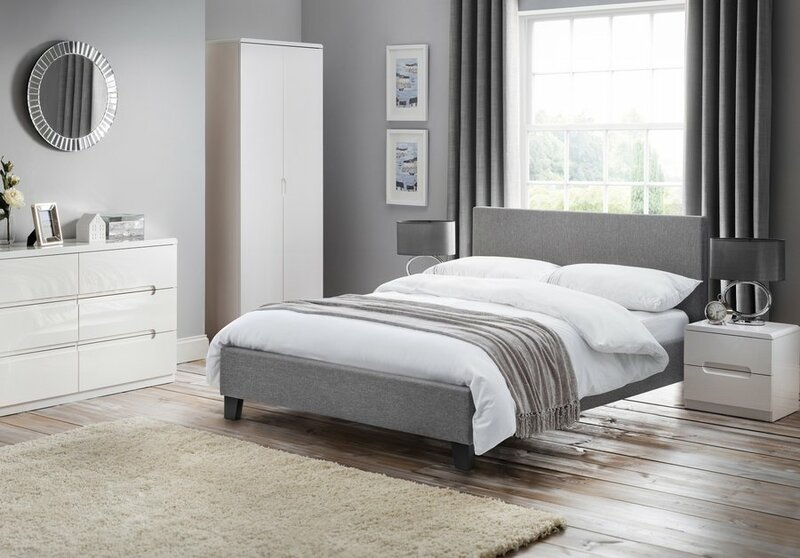 No need to struggle, the Rialto fabric bed is delivered by a two man team to a room of your choice.